I’ve noticed older couples with good marriages get along, for the most part, because they’ve hashed things out over the years. Either there’s been improvement or the other person decided it wasn’t important enough to argue about anymore. As Christians, we’re told to love others as we love ourselves, so if we decide to do that, we’ll study our mate and try to do things we know that they really enjoy. I’ve done that here and there over the years, but lately I’m aware of some things that are not that difficult that I could have been doing and just didn’t, for whatever reason. I’m also more cognizant of nice things that my husband does for me and I’m trying to say thank you when I see it. Plus, he changes over time, as I do, so the benefits of the new behaviors are a plus to our relationship. All of his life as an adult, he’s been in leadership and sometimes he just wants to do relaxing stuff. 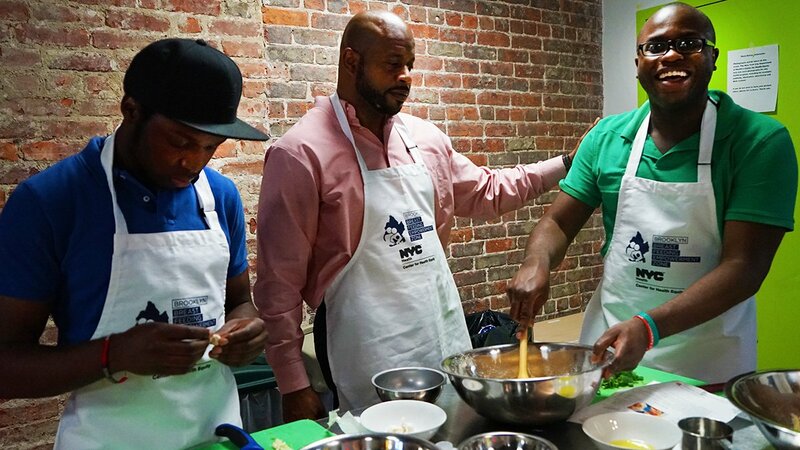 So, he started watching chefs and learned cooking techniques from programs available on television or online. If I’m preparing a meal and feeling the crunch of time, I’ll ask him to dice the onions and he’ll show me a way that is safe with the sharp knife and he keeps the rooted end in place for ease of cutting. The next thing I know, he’s asking if I need anything else chopped or sliced. If he hated that kind of thing, I wouldn’t ask unless I felt absolutely desperate, and then he’d have the right to refuse. I hope I’ll take the chance to hear the program online, they both sounded good. I hope this finds you well. Do you have any marriage tips that you can share with a family-friendly audience? When my husband preached on Matthew 15: 21-28 from the New Testament of the Bible this last Sunday morning on the desperate Canaanite mother with her demonized daughter, he made a comment that grabbed my attention. I like to read children’s easy reader books by Eve Bunting. One of her tomes placed a Hispanic boy in a big city with his mom. A local grocery store owner from an Asian country had a fat growly cat. The lady yelled at the children in the neighborhood, the cat hissed at them. When their tall building caught on fire it changed all of their lives. 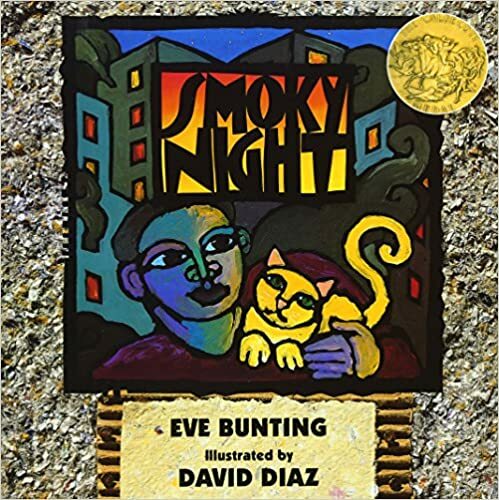 Such a great story: Smoky Night by Eve Bunting and illustrated by David Diaz, portrays people in a powerful way without preaching about their attitudes or circumstances. This award-winning book was published by Voyager Books, San Diego; New York, NY; and London, and copyrighted in 1994. 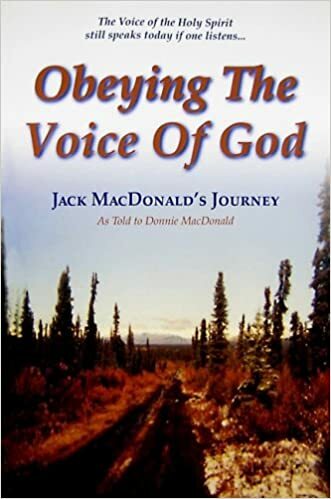 It strikes me that God has a purpose for every one of us, and for those who call Him Lord and Savior, He says in 1Corinthians 6:19 “Or do you not know that your body is the temple of the Holy Spirit who is in you, whom you have from God, and you are not your own? The previous verses talk about sin and in this case, are saying people in Christ should not be sexually immoral. Pro 23:16 Yes, my inmost being will rejoice When your lips speak right things. Pro 23:18 For surely there is a hereafter, And your hope will not be cut off. Pro 23:19 Hear, my son, and be wise; And guide your heart in the way. I know these verses and in my mind, I want to eat healthy and stop eating when I’m full. I also think about exercising regularly, it’s a good thing. I have developed some good habits: when craving sweets, I’ll grab a fruit instead of dessert. I park the car far from the store when feasible; when grocery shopping, avoid the sweets aisle or if it’s not possible, avert glance away from the cookies, etc. ; walk the stairs instead of using the elevator; eat less fatty foods, substitute lean choices and choose spices for added flavor. I’ve been spending more time preparing healthier foods lately, but I keep missing organized exercise classes our town offers for free. Since the food preparation has improved, I may be ready to begin the exercising within the next couple of days. My brain acknowledges the truth of the Scripture that this body is the temple of the Holy Spirit and therefore it is not my own. It hasn’t made it to my heart, even after all these years of following Jesus and knowing that He bought me with the price of His sacrificial death. I accepted His free gift of salvation and told Him I wanted to belong to Him. My doctor doesn’t tell me I need to lose weight, I’m just aware of the stealthy creeping in of eating unhealthily and the numbers on the scale going up. So, I’ve been cutting back and making wiser choices but it’s not always easy. Oven-baked root vegetables tasted good to me tonight. My husband thought they were too sweet and with a tiny amount of spice the taste of vegetables predominated. We’re experimenting with new recipes lately. Winter weather hit our region; it was a pleasure to set the oven to 425 degrees Fahrenheit for over an hour. Are you considering your health? Do you sneak in exercise or resist potato chips in a way that can be copied for good health? I’d like to hear from you. Sunday was my day to play guitar and worship the Lord at morning service, at a nursing home church meeting at 2:00 p.m., and again at night for the gathering of the saints. One of our pastors has a great grandchild two years old. She has grandchildren in their teens and one who just turned twenty or twenty-one. When she came into our building in the evening, she told us about the shooting in East Texas at a small church. We cried for the victims and their families and for the man wielding the weapon who is no longer alive. I had chosen a song about the goodness of the Father. God is good even when evil spouts its ugliness unexpectedly. We sang, “I’ll Fly Away,” written by Albert Brumley in 1929 and recorded by Johnny Cash in 2003 according to this YouTube link to the song sung by Johnny Cash: https://www.bing.com/videos/search?q=Ash+June+Carter+%26+Johnny+Cash+I%27ll+Fly+Away&&view=detail&mid=3ADF54C81EE47C9FC9E73ADF54C81EE47C9FC9E7&rvsmid=BFA57F1FFF1EF618A692BFA57F1FFF1EF618A692&FORM=VDRVRV. That was near the end of our song service and I think it brought comfort. I spoke to the crowd about God knowing all and having a plan for our lives. He alone can turn a tragedy into something good, but it may take years for the good to manifest or months. Right now, it causes tears and questions and anger and all the different steps that people go through when they’re grieving. So, we prayed for the families of everyone involved. Our hearts are heavy. One of the ladies at our church got into such a slump she had to grab hold of her emotions this morning and force herself outside of the house. So, she came to our church and started working the garden and pulling weeds. She got to express her emotions to my husband and then later to me. It wasn’t part of my agenda to stop and listen, I had an appointment elsewhere. I don’t know how to say to someone, “Not now,” when it’s of that magnitude. The minute I explained, they softened and they felt bad for the folks in Texas as well. We humans have a capacity for compassion and the ability to “walk in another’s moccasins,” if we so choose. I used to hear a quote my parents told me was wisdom from the American Indian nations about not really knowing someone until you’ve walked in their moccasins. In my opinion, we share a connection with people all over the world. May God bless us all. Probably a month or more ago, I read the first book in the Life of Faith: Millie Keith Series, copyright 2001 entitled, Millie’s Unsettled Season. Kerston R. Hamilton updated them and added more Scripture to the originals which were written by Martha Finley in 1876, just 11 years after the Civil War ended in America. Millie is thirteen years old in the second book, Millie’s Courageous Days which is also copyrighted in 2001, and is published by Mission City Press, Inc., Franklin, TN. There’s a marriage in the book which prompts Millie to ask her father how one knows that they are in love. He tells her to let him think on it overnight and to pray for wisdom for such an important question. In the book, one question led to another because as the heroine points out, these verses tell all Christians what love looks like. I’ve heard these Scriptures repeated at many marriages over the years. They are a target worth aiming for, and as we try to hit the mark we can’t help but reach a number of those worthwhile actions and attitudes. Some attributes I’ve struggled with and now, I can honestly say, I don’t have a problem with them by the grace of God. Others are still a work in progress. I hope you are well this fine time of the year. Our church hosts an organizing class once a week and today we only had an hour to meet, so I brought my computer and we watched Sandra Felton on YouTube, a minute or two for each episode. The attendee took notes on the ideas that were new to her. 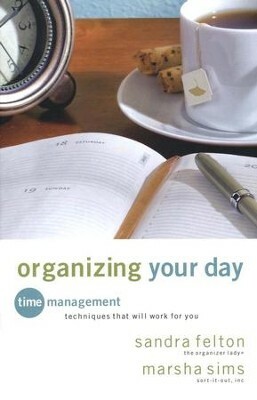 I showed her one chapter from the e-book from our library which is still downloaded on my computer: Organizing Your Day: Time Management Techniques That Will Work for You. It’s published by Revell, Grand Rapids, MI. The e-book written by Sandra Felton and Marsha Sims, was created in 2011 and copyrighted in 2009. Then the lady jotted down the information so she could get it for herself. I don’t know if she’ll have to wait for me to finish it or if they have more than one copy. Occasionally, I end up wanting to own a library book and purchase it. One advantage of an e-book, it doesn’t take up shelf space. My granddaughter in her twenties prefers a paper book over an e-book. I don’t know if that’s the norm for people in her age group or not. I’ve been reading the book of Isaiah and should have finished it by now, but I didn’t mark my place, so I re-read some of the chapters in the 50’s section. I felt as if I hadn’t read them before and seemed to glean more the second time. The Old Testament gives us examples of people’s lives and God’s interactions with them. I feel as if I know God better after reading His reactions to the Israeli’s and the other cultures. In addition, while on vacation lately, I tried to listen to my family along with my talking to them because as they experience life, it’s interesting to hear their ideas and to get to know them better, as well. She may have said that disorganized people tend to have a lot of interests and they are creative and intelligent. She might have said they are extremely intelligent, borderline geniuses-oh, that might have been my imagination. Lead on, Organizer Lady, Sandra Felton and her co-writer, Marsha Sims. I appreciate their vulnerability as they share their stories and their compassion for like-minded people struggling with disorganization. After my husband read part of my copy of her book, The Messies Manual, published back in 1983, it helped him understand me better, which helped our marriage. I noticed online that there’s a new version of The Messies Manual out now.